Not a lot of people try planting vegetable gardens these days, especially not in the city. What with the busy lifestyle, constrained spaces, and pollution, it seems inconceivable that a vegetable garden would survive. The fact is, you can actually grow them even if you are smack in the middle of a busy city. It's only important that you get the basics of planting vegetable gardens right. First things first. Soil preparation. This is one of the most basic things that any new gardener will have to learn. Whether you plan to use a plot of land in your backyard or start a vegetable garden in plant boxes, soil preparation plays an important role in whether your vegetable garden will survive or not. There are three types of soil that you need to be familiar with; sand, clay and silt. Sandy soil is loose and helps the roots of plants breathe because it lets the air pass through easily. Clay soil absorbs water faster and keeps it inside longer, a soil composition that has more clay particles in it would be ideal for places that are too hot and the soil dries up quickly. Silt is a fine mixture of sand and clay particles. When preparing the soil for your vegetable garden, dig up the soil and break off the lumps. Take out the rocks, roots, and weeds while you're at it. Check if you have just the right mixture of sand, silt, and clay before you begin planting vegetable gardens. Ideally, silt and sand should both be 40%, and clay should just be 20%, this is to make sure that the water isn't trapped inside too much that the roots will choke. Also, if the water is trapped too long inside the soil, the roots will rot. One good way to test whether the composition of your soil is good is by scooping out a handful and forming a ball with it. The soil should hold the shape of a ball without too much difficulty. If the soil cannot hold the shape, you might have too much silt or sand in the mixture. If the soil holds the shape but does not crumble easily when you poke it, it might have too much clay in it which you need to balance out with a little silt or sand. Once you have finished cultivating the soil where you want to plant your vegetables, pick what kind of vegetable you want to grow there. Keep in mind that some vegetables don't grow well when you plant them too close to certain types of other vegetables. Potatoes, for example, shouldn't be planted too close to squash or tomatoes because it inhibits their growth. They can be planted in the same garden, just don't plant them beside each other. After you have decided on the kind of vegetables you want and planting them into the cultivated soil, you'll have to learn about how to water them properly. Vegetables need to be watered consistently. When planting vegetable gardens in a big space, you might want to consider using a soaker hose. A soaker hose has many holes along its body that waters your garden by letting the water seep through its holes. Planting vegetable gardens require manual labor (yes, actual work), and a lot of patience. The rewards are very well worth it, though. Especially for people who are concerned about their health. Growing your own vegetables makes sure that there's the least amount of poisonous (and in the long run, carcinogenic) particulates in it as possible. Planting vegetable gardens can be a very rewarding endeavor, not to mention that it's good for your body because of all the exercise you will get, and the vegetables that you'll get to eat. These days, it's really ideal if you can plant your own vegetables to make sure that they're pesticide free, but a lot of people feel intimidated by the idea of planting vegetable gardens especially in a city. Vegetable gardens are typically easier to maintain than flower gardens because vegetables are more resilient, especially in different types of weathers. Flowers are typically more delicate to changes in the weather, and don't adapt as easily. Planting vegetable gardens usually demand a lot of space, although some vegetables can also survive in plant boxes. It really depends on what kind of vegetables you will plant, and what you expect out of your vegetable garden. The first decision you have to make is the location of the vegetable garden. You must place this vegetable garden in an area where it is exposed to at least 6 hours of sunlight. The location must also be near where you will source the water you will use to water the plants. It must be near enough for you to make a short trip if you are carrying a pail of water, or it must be near enough to be easily accessible to the hose you will connect to a faucet inside your home. Also, check if the area has soil conducive for growing plants. It must have good drainage, and must be free of silt, stones, and other hard objects. Lastly, the location of your vegetable garden must be somewhere accessible, so that you can frequently check for pests and weeds when you walk by. Included in your plans should be the sort of plants that you intend to plant, and how many of them you intend to grow. This will help determine the size of the plot you will need. Afterwards, make a list of all the plants you want to grow in your garden. This decision cannot be completely random, especially because the yield of the garden will be what you will consume as a family. Make sure to plant vegetables that your family would love to eat, or vegetables that you often use for cooking. This way, you are ensured of a direct benefit from growing your own vegetable garden. Make a plan for the arrangement of the vegetable plants in the garden as well. The first consideration is the frequency of yield. Perennial plants, or those who yield vegetables for constantly throughout the year must be placed at the back of the garden, where it will be undisturbed by whatever gardening activities you may have in the rest of the garden. Put the crops that produce early yield together. These crops include radishes, spinach, carrots, beets, and the like. Make some space for replanting successively. Once these crops have seen their yield, you can plant in their place crops that produce yield later in the season. The last consideration for arrangement is the reality that there are plants that cannot grow beside other plants. For instance, there are those plants that enhance the growth of another when planted together; there are those that inhibit the other. It is important to take into consideration which crops inhibit the growth of the other. For instance, potatoes are capable of inhibiting the growth of both squash and tomato plants. Broccoli also inhibits tomato growth. Beans, on the other hand, inhibit the growth of onions. Carrots also inhibit the growth of dill plants. This does not stop you from planting all these plants in the garden. This only acts as a reminder of which plants you should separate from the other when planting vegetable gardens. A lot of people are beginning to see the benefits of planting vegetable gardens. It's usually healthier because you get to decide whether or not to use commercial pesticide on them. Since vegetable gardens are typically manageable in size because they're not grown for profit, it's easier for people to manage the plot without having to resort to using commercial pesticides. 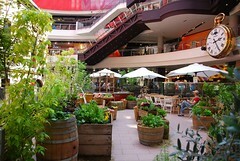 Vegetable gardens also assure you of fresh produce because there's no need to pick the vegetables and refrigerate it. Vegetables stay fresh as long as you don't pick it from your garden, except if it becomes overripe. Aside from health reasons, planting vegetable gardens is also economical because the produce is not going to be as expensive as those that you buy from markets or groceries. People who have been successful in planting vegetable gardens usually know that you can't keep growing only one type of vegetable in a garden. It's usually more advisable to rotate crops instead of planting only one kind of vegetable year in and out. Rotating crops will make sure that the micro nutrients in the soil will be preserved, and that diseases will not build up in soil particulates. Rotating vegetables of the same family would also mean that (more often than not) they would be susceptible to the same kind of pests. This makes pest control a bit more manageable for you since you don't have to adjust to different types of pests for different families of vegetables. It would also be ideal for people who planning on planting vegetable gardens to spread out the kinds of vegetables they plant so that they don't harvest too much of the same vegetable in one season. You wouldn't want to be stuck with too many cucumbers in one season, would you? Throughout the growing season, try and plant varying types of short-season vegetables so that you'll be assured of many different types of vegetables throughout the season. If you really plan to get the most out of planting vegetable gardens, it's best if you do your research first. Check which plants go together, check whether you have enough space to rotate your plants, check which plants you can actually rotate to prevent poisoning and depleting the nutrients of the soil, and spread out the type of vegetables you plant so you won't have too much of the same thing for the whole planting season.